Manx National Heritage is the Isle of Mans primary heritage agency. Manx manages and maintains a huge proportion of the Island’s coastline, landscape, artwork, museum collections, archives…all in trust for the nation. 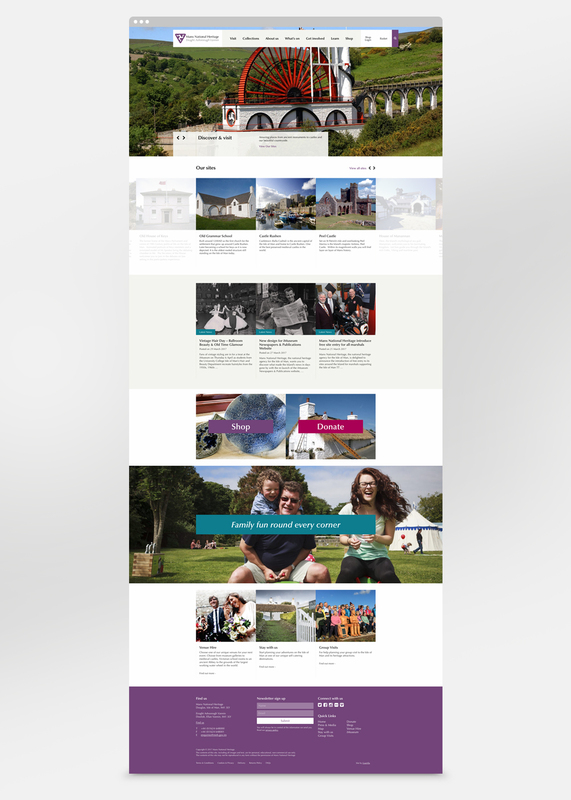 We have worked with Manx National Heritage for a number of years now and the time came to take a look at their website. 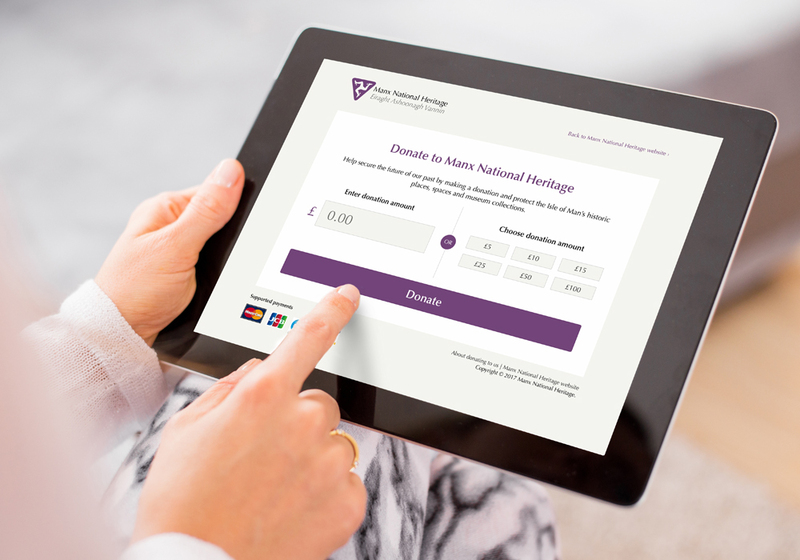 It was our task to produce a new website that would allow users to buy, donate and find exactly what they’re looking for quickly and efficiently – putting Manx National Heritage at the forefront of their industry. Our challenge was to take the wealth of information that needed a home on the new site, deconstruct it and present in a way that would be useful for the user. It was imperative the design would showcase the Isle of Man as a beautiful destination and a great place to visit. We have really enjoyed working with everyone on this project, from briefing to building. The site looks modern and slick, it benchmarks Manx National Heritage above their industry, but perhaps more importantly – it helps to sustain the wonderful work they do with the addition of donation integration.